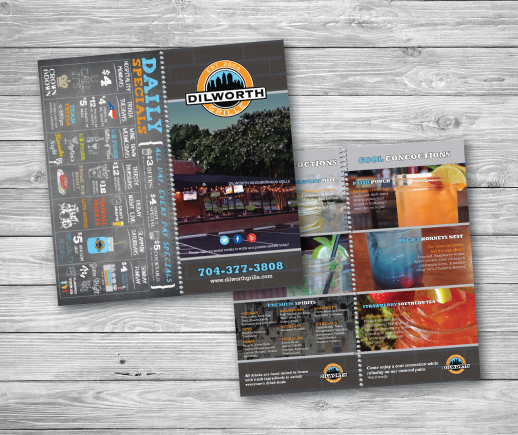 Your brand is your mark of distinction; it's what sets you apart from your competitors. 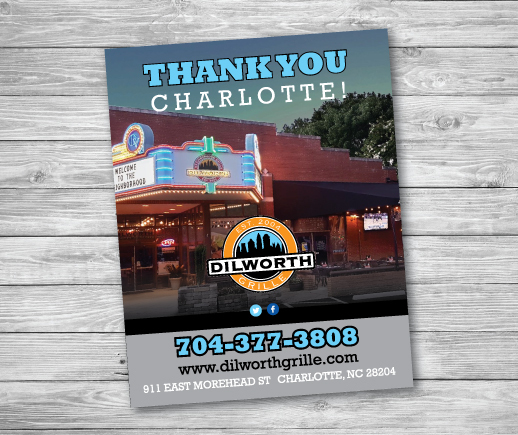 When you establish and adhere to a brand management strategy, your level of commitment reassures consumers, suppliers, and anyone else that your company does business with that they can trust you. 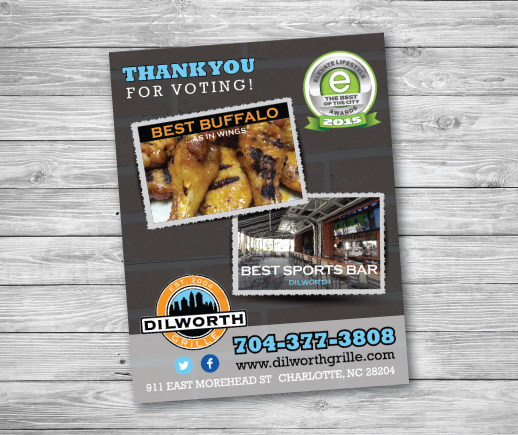 Whether it's your company website, your ranking in search engine optimization, or your Facebook and Twitter pages, you should strive for consistency in image and reputation in managing your brand. 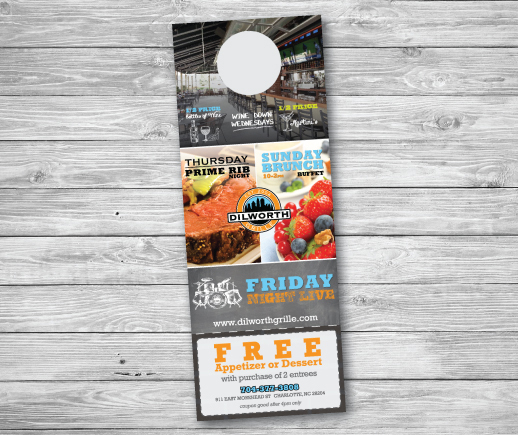 It will save you money and eliminate any confusion about what your brand stands for in the marketplace. 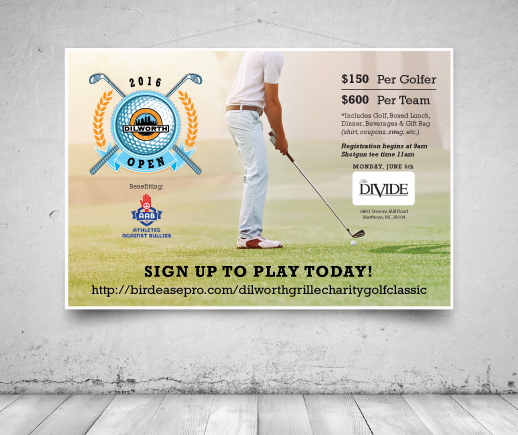 If you are looking to reevaluate your strategy, we would love the opportunity to help. 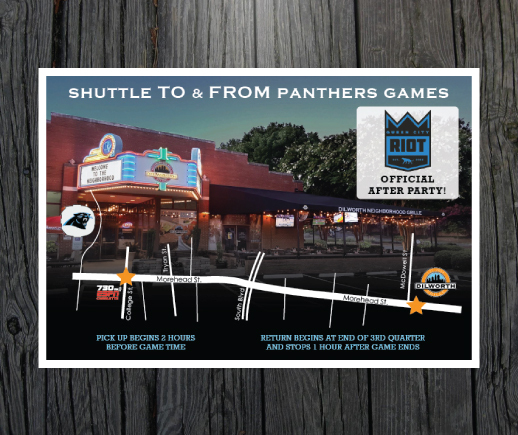 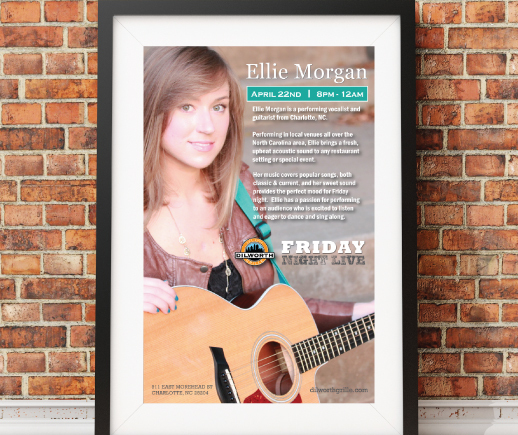 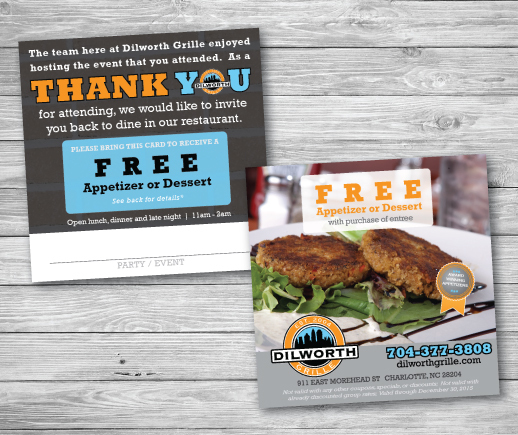 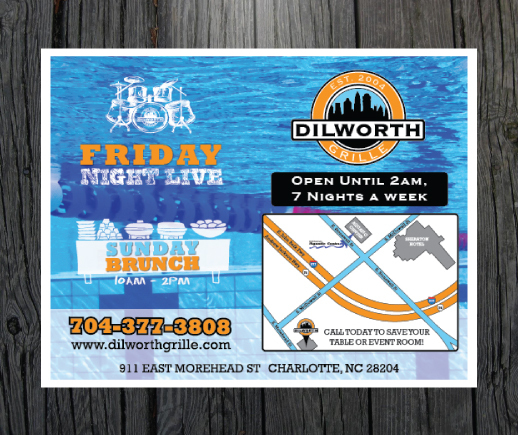 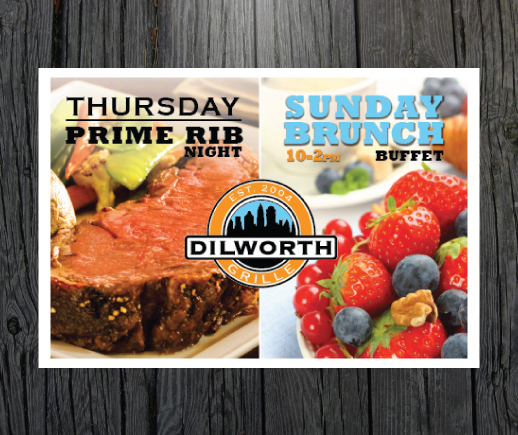 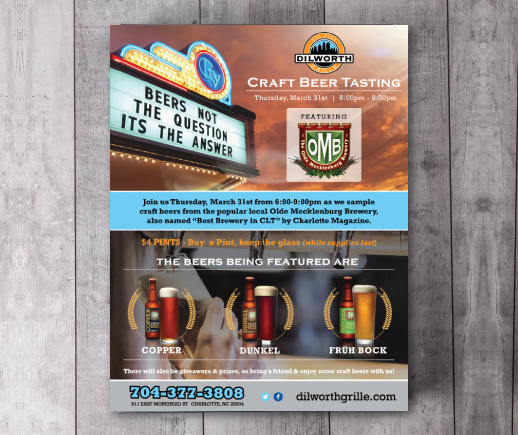 We are honored to work with Dilworth Grille and help them with their Brand Management. 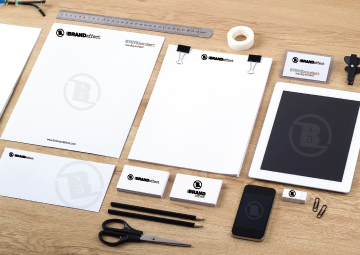 The examples help to give an idea of the many ways we can help manage a brand. 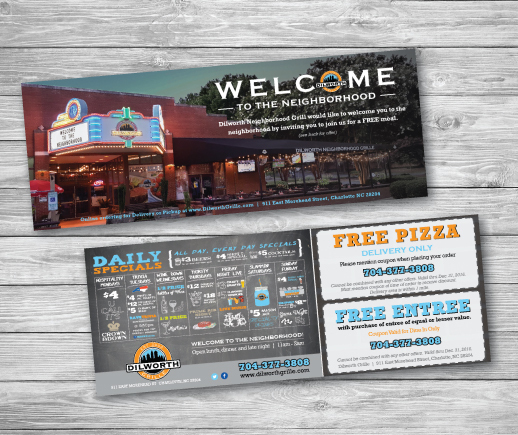 We take pride in delivering quality work to our clients and are pleased to highlight a couple of our recent projects.